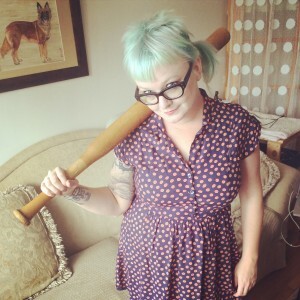 Posted August 2639, 2013 by NatalieZed & filed under Book Reviews. Many people shut down, wall off, block when they experience trauma. I pick at wounds, worry cuts inside of my mouth with my tongue, won’t stop touching things at they heal. I bang myself against trauma until I’m not scared of it any more. There are smarter ways to move in the world, most likely, ways that don’t lead to walking around with so much ugly car tissue, but it’s my way. In the past few weeks since my grandmother suddenly passed away, I’ve been reading a lot of books about death and dying. Some of them have been scientific or socio-historical, examining death rituals or decomposition processes. I’ve always loved ghost stories and that obsession as returned with a terrible vengeance, and I’ve been scaring myself deliciously at every opportunity. No matter what the genre, the weirder the story the more soothing I find it. Since the original comic appeared and put that premise out into the world, people have been writing stories based upon it. Merch has been created. Podcasts have been dedicated entirely to reading these stories aloud. 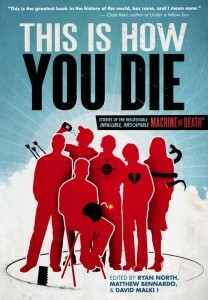 In 2010, the first collection of stories, Machine of Death, edited by the same three collaborators, appeared in the world. Still the stories kept coming, and so now we have This Is How You Die. The first collection was varied and nimbly, surprisingly, breathlessly imaginative, full of black humour and genuine emotion by turns and to different extremes. There was a general lean towards literary twists and surprise endings, but in an old-Twilight-Zone way rather than an unfortunate M-Night-Shyamalan way. 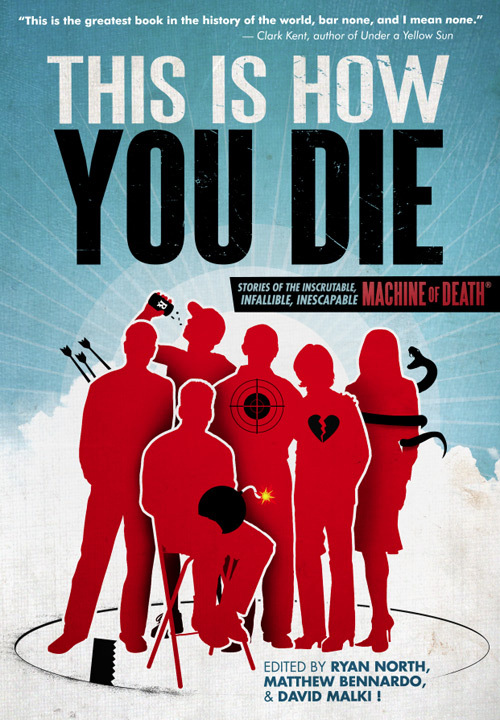 Where Machine of Death used the initial premise as it’s jumping off point, This Is How You Die is standing on the shoulders of the previous collection. It is more daring, more dynamic, pushing the concept further, leading to pieces that just brush against the original idea before spiralling off into their own universe. It is dizzying and wonderful. I devoured this book, turned the stories over and over like touchstones, like sharp little rocks and I can hold and feel dig into my palm for comfort. The tone and texture and flavour of death in each one is so different, yet they all also carry the same sense of inevitability, the copper tang of blood.